In another sign of the growing popularity of craft beer in Sacramento, Capitol Beer and Tap Room is opening a second location – at a key downtown corner that once was targeted as the site for a midrise apartment building. 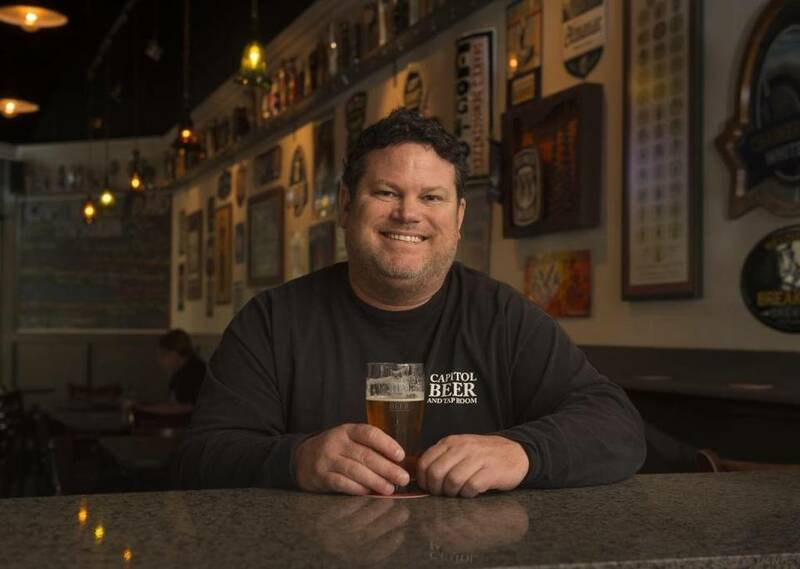 Capitol, which opened in August 2012 in Campus Commons and is now regarded as one of the region’s top beer destinations, last week signed a lease to open a new shop at 1431 I St.
“We feel it’s going to be a really interesting space,” said company co-owner Ken Hotchkiss. “It’s an old auto shop, with roll-up doors, and we’re going to try to incorporate all of that” into the design for the new use. He said his goal is to have the downtown business open by September. Hotchkiss and co-owner Patti Aguirre plan to have about 40 brews on tap – double the number at the existing shop. They also are going to offer small plate food selections prepared there, a change from the beer-only format at the original location. The Campus Commons location – which fronts on a University Village shopping center patio that’s set to be renovated later this year – has drawn praise from aficionados for the rotating selections of brews on tap and an adjoining retail shop that has about 400 bottles in stock. “People appreciate that we keep an interesting lineup of quality beer, and they like the way we rotate it,” Hotchkiss said. No bottle shop is planned at the new location. Opening the original business was a leap of faith for Hotchkiss, who had been working as a tile contractor until the recession hit, forcing him to look for another line of work.